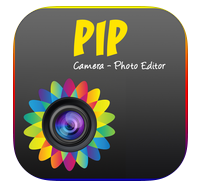 PIP camera apps allow to turn your simple photos into beautiful & professional photographs. If you want to add PIP ( Photo In Photo ) effects to your photos, this article will help you to find the best PIP camera apps for iPhone & iPad. Most of these photo effects apps come with lots of amazing effects and can be used to add different types of visual effects to your photos. Check the list of Photo-In-Photo camera apps. 1. PIP Camera - Selfie Cam With Collage ( For #iPhone & iPad ) - One of the best PIP camera apps on the iOS Appstore and it is available free of cost. This app contains lots of PIP effects which allow you to create extra ordinary photos within few seconds. 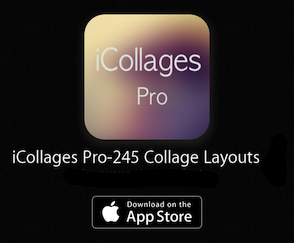 This app comes with photo collage maker & layout editor which let you create beautiful photo collages. Very useful photo frame maker app that automatically turns your simple photos into beautiful photographs. If you want to add photo-in-photo effects or magazine effects to your photos, you must try this app on your iPhone & iPad. 2. PIP Camera Pro ( For iPhone Only ) - If you are looking for ad free PIP app for your iPhone, you can try this premium app to add PIP effects on your photos. 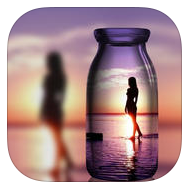 This app includes lots of PIP effects such as photo in hand, glass, camera , board, bubble & more. 3. PIP Camera Effects ( For iPhone & iPad ) - Very useful PIP camera app that comes with more than 50 frames, PIP effects, art & 3d photo effects. If you want to make your photos more attractive, you can try this free PIP camera app on your iPhone or iPad. 4. PIP Camera Rapit ( For iPhone Only ) - Premium app for creative iPhone users that lets you create awesome photos & videos with PIP effects. With the help of PIP Camera Rapit, you can easily apply different styles of motion PIP effects, use professionally designed PIP themes, stylish foreground filters, & background photo effects. Unique app that lets you also create videos & animated gifs in PIP style. 5. 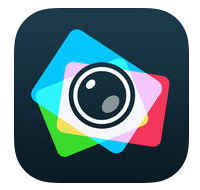 FotoRus - Camera With Photo Editor ( For iPhone & iPad ) - Featured rich photo editor that comes with many photo editing tools including PIP camera option. With the help of FotoRus, you can easily create photos with beautiful PIP effects, add fun stickers, apply various styles of photo filters & create different types of photo collages. 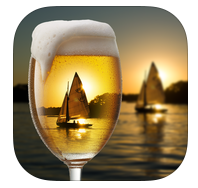 Very useful photo app on the Appstore that is available free of cost. 6. 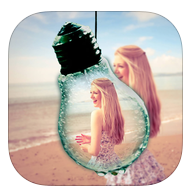 PIP Camera Effects ( For iPhone only ) - Simple PIP camera app that has lots of stylish 3d photo frames for your photos. This app helps you add different styles of PIP effects instant in just a single tap. 7. PIP Camera-Photo In Photo Effect ( For iPhone Only ) - One of the best free photo app that lets you add PIP effects on your photos. Very useful app to add beautiful photo effects on your photos. 8. PIP Camera - Photo Editor ( For iPhone & iPad ) - Very useful PIP camera app that comes with lots of PIP effects & photo filters. 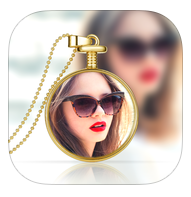 One of the best free Photo-In-Photo apps that lets you add amazing photo effects and photo filters to your photos.